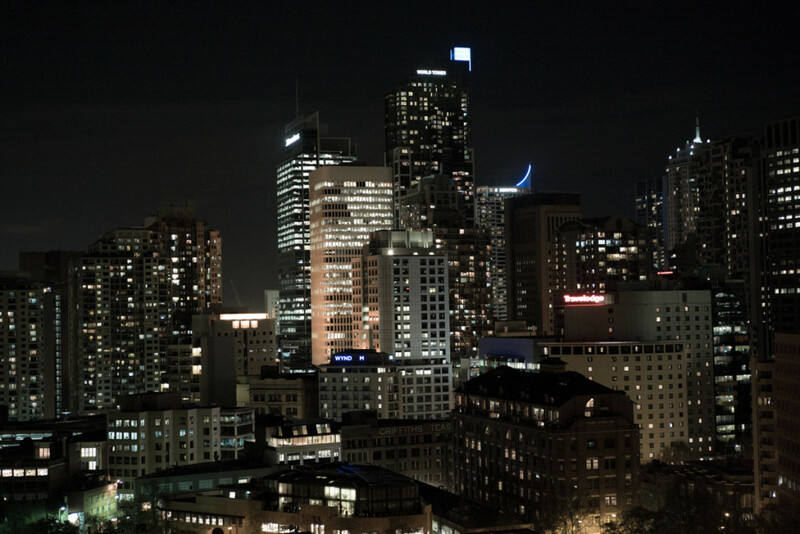 The final post from Australia comes from Sydney, from where I am about to fly back to Germany. My time here was filled with beautiful encounters and impressions, and I couldn’t be more grateful to all the people who showed me around, let in into their lives and take photographs. I am catching myself already editing the material that I shot… As for every journey, a in-depth visual story will be published on the website after my return (will be announced in a newsletter). I usually don’t read much while I am on a journey to take photographs. I just cannot – and do not want to – concentrate on anything but the visual impressions coming my way. This time I did carry a book, which I had discovered just before my departure: “Cyrano oder Die Rückkehr vom Mond” (Cyrano or The return from the moon) by German writer Durs Grünbein. The 80-some poems, which are all titled after moon-craters, deal with mankind’s fascination with the moon and how human perception of Earth may have changed since we’ve seen the first images of the Blue Planet from Outer Space. In a short essay at the end of the book, Grünbein writes: “We’ve been to the moon and are looking out there further and further – and that’s immensely exciting. But isn’t it just as spectacular that this gives us the opportunity to see Earth, our home, with new eyes?” That is a thought closely related to the approach of the ‘deep dark pale blue’-project. That’s what I am trying to do with this body of work – addressing the fundamental questions that astronomy holds for our existence here on Earth. That pale blue dot. I will be leaving Coonabarabran tomorrow and drive back to Sydney, from where I’ll fly back to Germany on Monday. Speaking of flying – my time in “Coona” flew by. But it’s not quite time for a bottom line yet, and a couple of posts will follow… I did meet up with Mark Willis of LCOGT (who was just terrific in taking me around and showing me places!) one last time at the observatory, where I took this picture in the last light of day. One more post from Coonabarabran tomorrow and then back on the road! 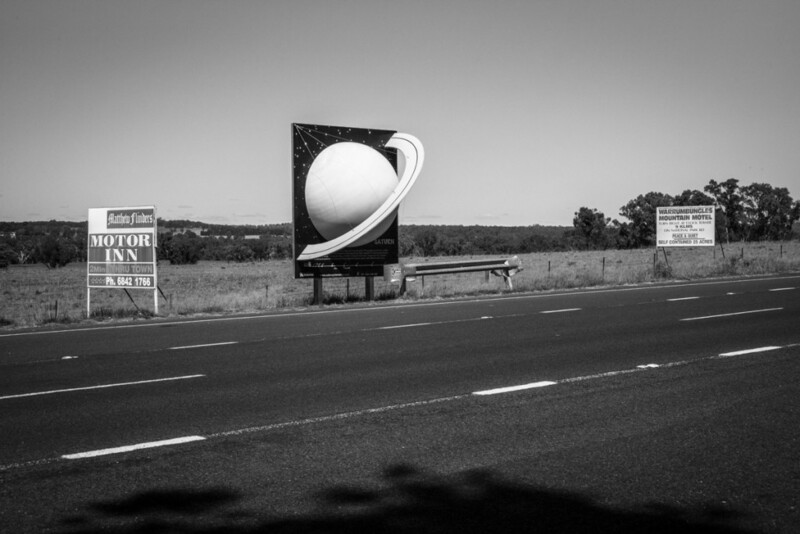 Due to the location close to Siding Spring Observatory, astronomy has quite an impact on the Coonabarabran community. 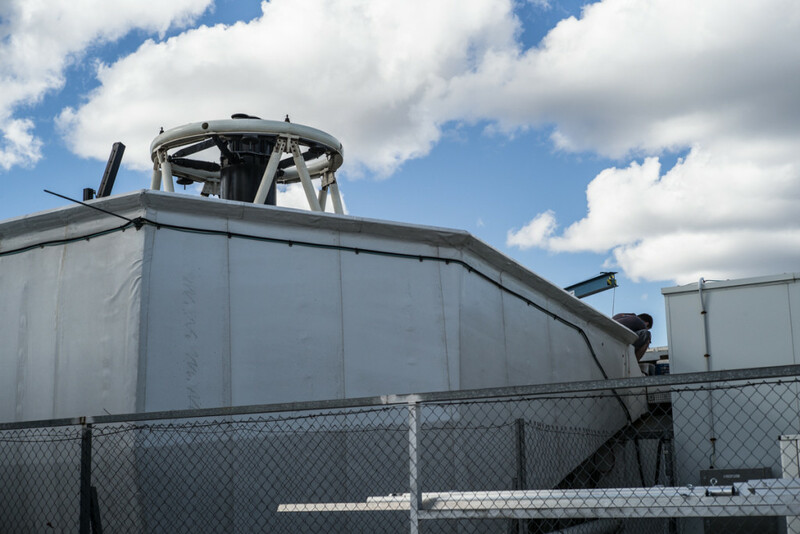 Many visitors drive up to the observatory and participate in a guided tour of the facilities. Other than in Sutherland, South Africa, for instance, no public stargazing-sessions are offered here. 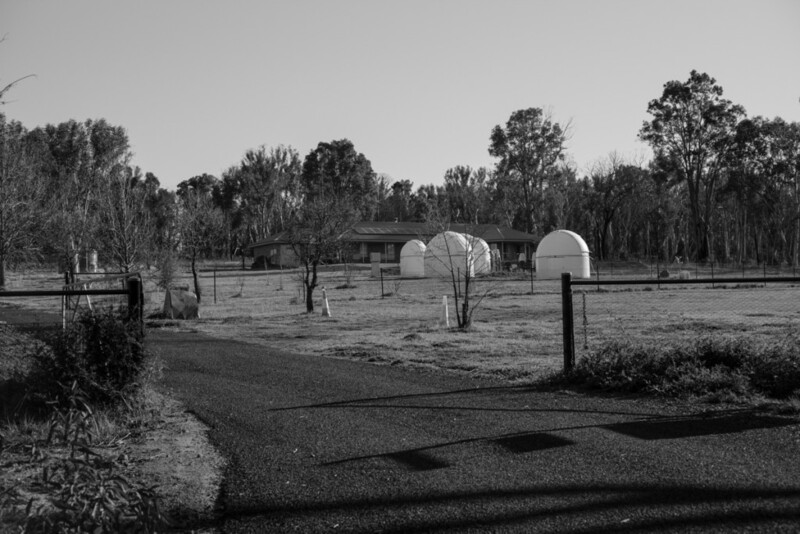 However, quite some people living close to the observatory are amateur astronomers and have telescopes set up on their properties. They offer private stargazing – often in combination with a real “Aussie Barbecue”, which makes the event a great opportunity to experience some real country hospitality along with incredibly clear night skies. It took quite some time, phone calls and driving, but yesterday I did get the chance to meet with Michael “Mick” Horn, an Indigenous Community-leader and teacher of traditional Aboriginal culture. Mick is also one of the few people who still know how to craft traditional boomerangs by hand. A knowledge that has been passed down from generation to generation in his family. 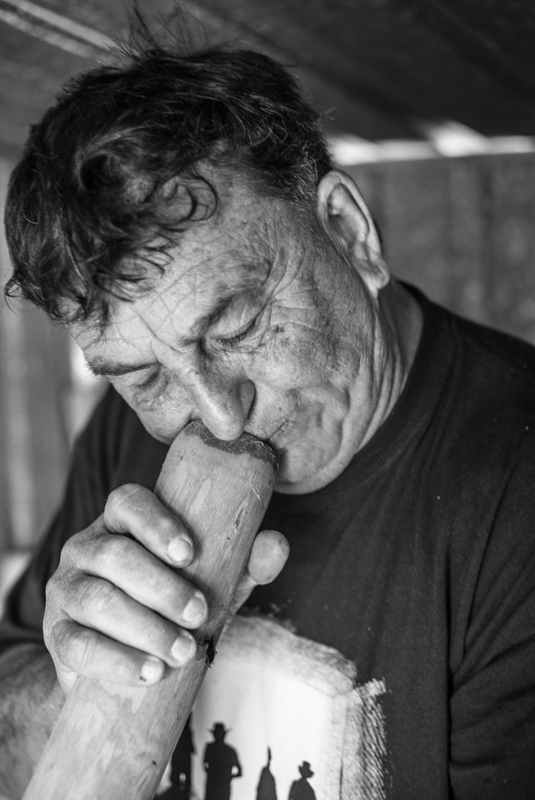 He takes Aboriginal school kids of all ages out into the wilderness teaching them how to make didgeridoos (he plays one in the photograph), traditional dances, hunting and fishing techniques, and tells them their ancestor’s stories. 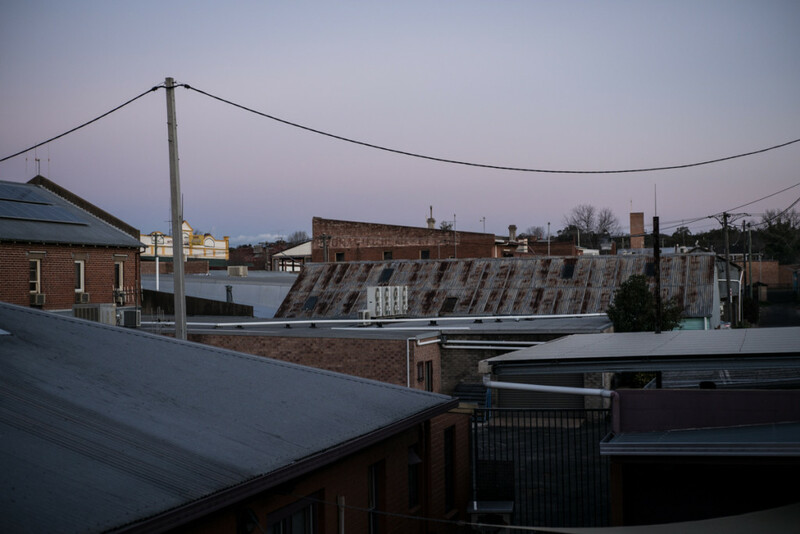 And he teaches them about Aboriginal Astronomy – about stories and myths associated with the objects and constellations in the sky, and how their ancestors made use of the stars to determine the seasons, to find food and water. Mick told me he plans to get in touch with the observatory in order to introduce the kids to another, “recent” aspect of astronomy, and to inspire their curiosity about science that way. 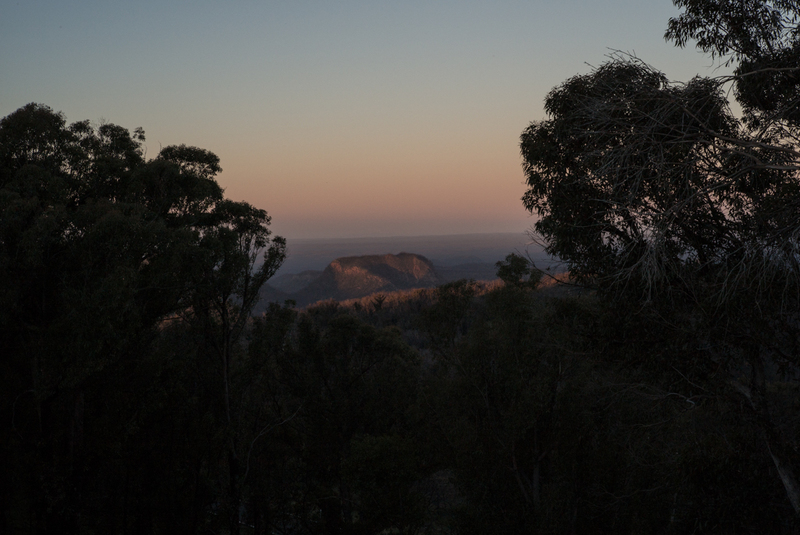 After the last couple of posts being about Aboriginal Astronomy (more on that to come, by the way – I will be meeting with some Elders of the Community in the next couple of days), here’s back to Siding Spring Observatory. One of the things I find fascinating about this region is, on the one hand, exactly that vital relationship with astronomy already thousands of years ago, cutting edge-science on the other. Some of that science can be experienced on the upcoming Open Day at the observatory called “Starfest”; hosting all sorts of events including observing-sessions with the LCOGT-telescopes. LCOGT’s Site Manager Mark Willis is getting things ready; here on the 2-meter Faulkes Telescope South. 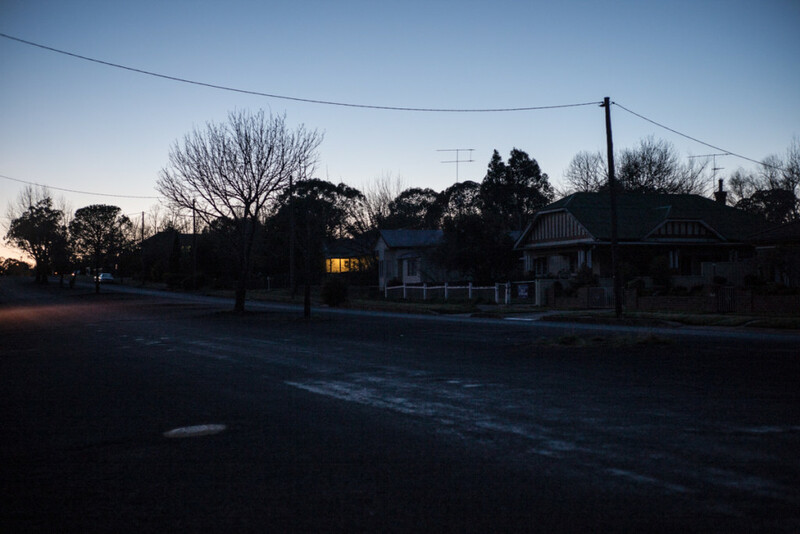 Coonabarabran is in the country of the ‘Kamilaroi‘-people, the Aboriginal tribe from this region. Following up on yesterday’s blog, here’s one example of how astronomy has influenced their life. 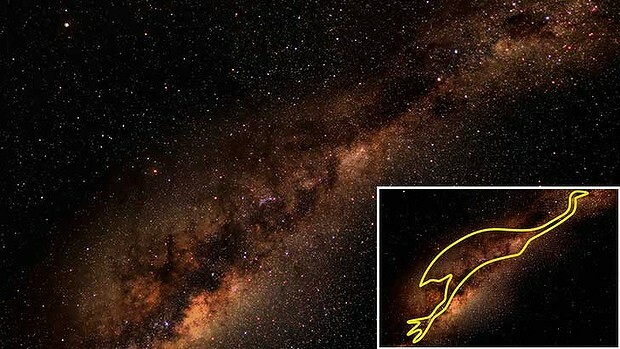 A dark nebula next to the Southern Cross represents the Emu’s head, with it’s body and legs stretching out throughout the dark dust lanes in the Milky Way. When people saw this shape in the sky (the ‘Emu in the sky‘ usually appears in April and May), they knew that the emus were laying their eggs and went out in the bush to collect them for food. 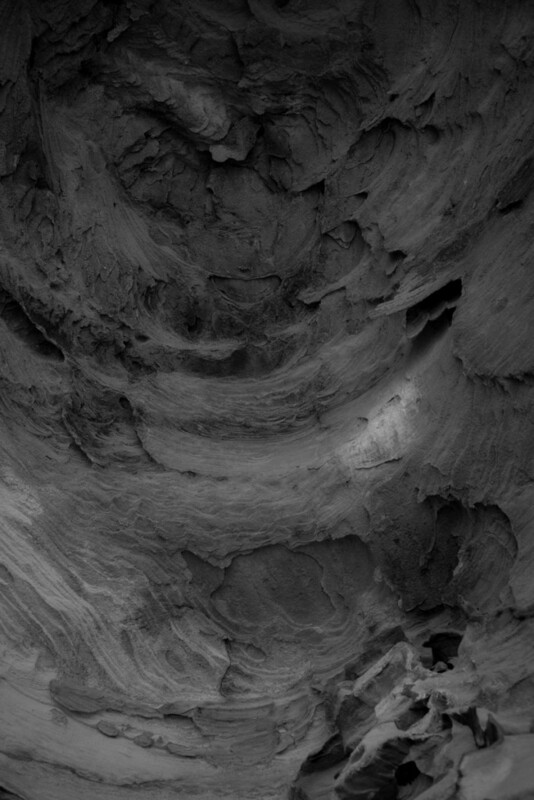 I visited the Sandstone-Caves in the Pilliga Forest, which is an Aboriginal Heritage Site in a large nature reserve about half an hour away from town. Not only can rock carvings and drawings be seen there – thousands of years old -, but I am finding out more and more about Aboriginal Astronomy. Aboriginal cultures across Australia date back to approximately 50.000 years ago and are believed to be the oldest continuous cultures in the world. Their relationship with astronomy has always been of great importance: Stories, myths and spirits were associated with star-constellations and patterns in the sky. However, their knowledge of the night sky by far exceeded that “spiritual component” and had a very practical – not to say existential – side to it. The positions of stars and planets helped the Aboriginals to create calendars. Calendars that would tell them when certain plants were ripe, waterholes were full and bird-eggs were laid and ready to be collected. I continue my exploration of ‘Aboriginal Astronomy’, and I am hoping to meet with some of the Elders of the indigenous community in the next few days. While I inquire about that indigenous approach to astronomy, I come across all sorts of stories in town about astronomy in general. Anette and Arnold, for instance, who run a local bookstore specialized in astronomy, live close to the observatory and told me that they would use special lightbulbs in order to keep the light pollution as low as possible and thus not to interfere with the observations. “Coona”, as the locals call it, is a quiet country town (as this early-morning-view from my window may indicate). There is, however, a rather lively Aboriginal Community here, and I am learning about the aboriginal approach to astronomy. Very, very interesting… And such an nice thought that – in this region blessed with an Astronomical Observatory pushing at the forefront of science – astronomy has played a crucial role in people’s lives thousands of years ago already. Definitely more on that in the next few days!